Massive online obstacle course, where the audience can alter your path for better or worse. In Mobile Manipulation Arena one player tries to reach the other side of the obstacle course. To achieve this he needs help of some people. These people can help him by activating certain obstacles with a mobile app. However some people can also counteract the main player. Every mobile player gets divided in a team. One team needs to help the main player and visa versa. 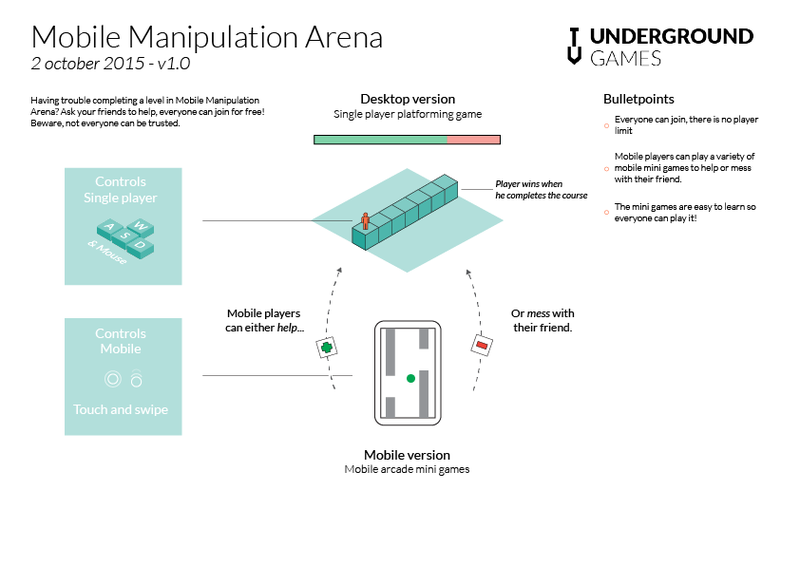 I was one of two game designers during the development of Mobile Manipulation Arena. I was responsible for the level design and the different obstacles the player would face.